In celebration of my 100th blog post, I thought I would have my first giveaway. I love books, so naturally, I decided that my first giveaway should be a book that I really enjoy. The book I have chosen is called Back to Basics - How to Learn and Enjoy Traditional American Skills- and is put out from Reader's Digest. I got this book years ago, shortly after I was married, and had become a homemaker. I had grown up on Little House on the Prairie, both the show and the books, and have always loved the idea of the "country life". 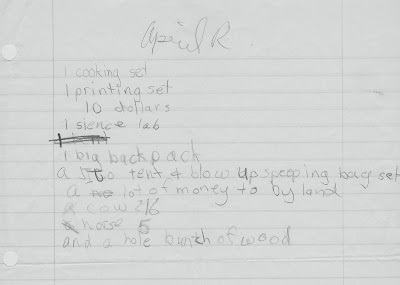 To show you how excited I was about country living, here is a scan of my Christmas list from back when I was a child- probably 9 years old. 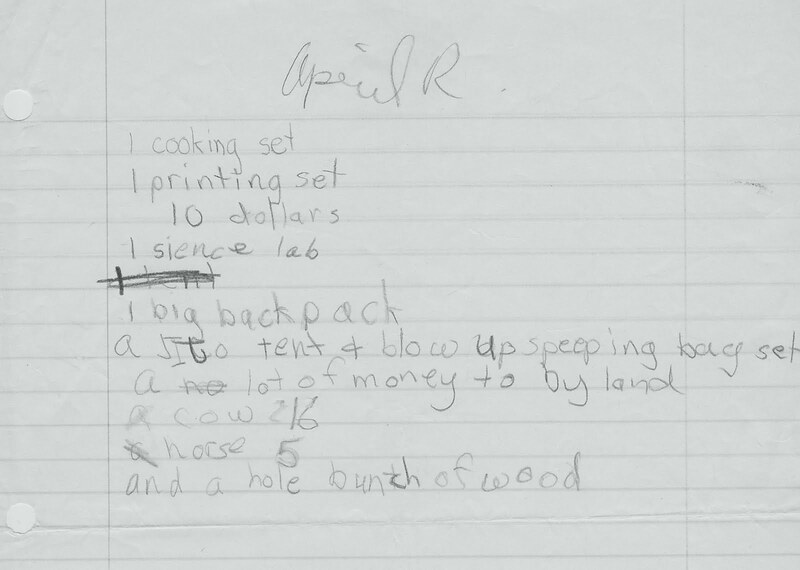 Looks pretty normal at first- a cooking set, a printing set, 10 dollars, a science lab, then starts to veer into homesteading- a big backpack, tent and blow up sleeping bag, a lot of money to buy land, 16 cows, 5 horses, and a whole bunch of wood (presumably to build a log cabin). I am glad my Mom saved this list- I did, by the way, get the cooking set- rather than a toy set my Mom put together a whole box of real baking things, as well as an assortment of Jiffy Mixes, so I could make them all by my self and really learn to use the oven. I had so much fun with that. I also got the printing set, I fancied myself a journalist, and wanted to be called "scoop". When I was first married, my husband and I lived in the Portland suburbs, but I dreamed about country living. I poured over this Back to Basics book all of the time. Gary started to be interested in some of the ideas in this book as well, we would read this book at night before bed, and talk about our dream property. When we finally moved to our first country property it was this book that inspired me to have chickens, and raise a huge garden. Even now, as I live on a smaller property in a small town, I am still inspired by this book, to do the gardening, crafting, and cooking that I do here, as well as continues to keep me excited about saving up for our next country property. Here is a picture of my old copy. This book covers a lot of interesting topics- from buying land, to raising livestock, from gardening to braiding rugs. Very fun book to read. Also wonderful for anyone reading The Little House books with their children, lots of good project ideas! Wonderful for anyone who wants to start learning traditional skills or is thinking about moving to country property. Here is a link to this book at Amazon. Just leave a comment below- if you do not have a blog please be sure your name links to an e-mail. 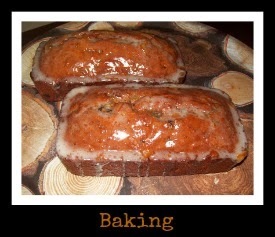 For 2 bonus entries-Follow April's Homemaking and leave two comments letting me know you have done this. 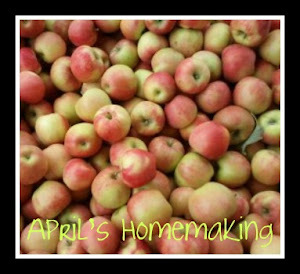 For 1 bonus entry Follow April's Homemaking on Facebook and leave a comment letting me know you are following on Facebook. For 1 bonus entry Share a link about this contest on Facebook and leave an additional comment to let me know. For 3 additional bonus entries write a blog post about this contest with a link back and leave three comments letting me know you have done this with a link to the post. Your entries are your comments so be sure and leave a comment for each entry. I will be choosing a winner from the comment list using Random.org. This giveaway starts September 9, 2011 and ends September 17, 2011. Winner will be announced Monday September 19th, 2011. Sign me up for a chance, and thanks for the opportunity! What a fantastic looking book! That you for the giveaway opportunity. Thank you for the opportunity the book looks fantastic! I would love to win. Hi! I followed your comment on my blog only to discover another Laura lover! Congratulations on your 100th post and thanks for doing a giveaway contest. Here's my previous blog and a post I made after visiting Wilder's home in Mansfield, MO. What a fantastic giveaway. This book has been on my wishlist for quite a while and I'd love to win it! Have you read John Seymour's book The Self Sufficient Life and How to Live It? That's another of my favorites. 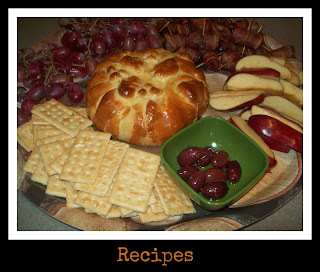 Thank you for visiting Crafty Moms Share today and leaving a comment. Your visit introduced me to you blog and I became a follower. I look forward reading more from you! Love the Christmas list! How cool your mom saved it. I would love a copy of the book. Sounds great! Funny April, I read about your give-away before realizing you had just left a comment on my blog. :) I would LOVE to have a copy of this book. Sounds inspiring. And I love the way you have been into this since you were young! I hope we are instilling the same thing in our children! I shared this give-away on FB. Here's my comment! Thanks for giving me a chance to win! What a wonderful generous way to celebrate your 100th post. Congratulations on that milestone! How wonderful! I love living in the country. I really don't think I'd survive in a town or city. I love your post and I love that your Mom kept your list from when you were little.......Little House on the Prairie was also my favorite book when I was growing up along with Anne of Green Gables........thanks for having this giveaway its a great one! Don't ever give up on your dream. My husband and I waited 10 years before we bought our first country property. We only lived there a few years before we sold it and moved into town so I could go to R.N. school and the kids would be near enough school to ride a bike to ball practice or school when I was busy at the college or the hospital. It was about 14 years before we bought another farm. Our son said we were the only people he knew whose hobby was riding around the countryside coveting someone else's property! We are older than you, and we are grandparents now, but we thoroughly enjoy our farm. We have a big garden, I can, cook from scratch, quilt, and we have chickens. We no longer have cattle, but we used to have a nice herd. You will, too, one day. Keep working towards it and you'll have your land eventually. We're in an apartment, not even a house on a teeeny property, but we're working towards it. There's so much that can be learned while having the safety net of "town". I will be posting this 'give away' on my blog. 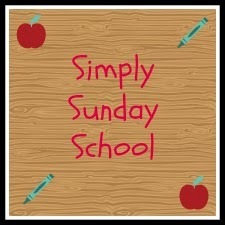 Found your blog from homestead revival's preparedness link-up. What a great give-away! Thanks for offering it. Following from Wild Weekend! Would love a follow back when you get the chance! This looks like a great book, please put me into the giveaway, thanks!!! I am a follower of your now! I am a follower of your blog now,#2 message! for giveaway, yeah!!! As an aspiring homemaker and farmgirl, I would be very blessed to win this book and continue to learn. I'm looking for books such as this to add to my own home library. Can't depend on the internet in a crisis. again... I just became a follower! 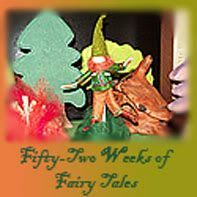 I am a new follower through the blog hop! Oh I would love this book! THX awesome Blog! I would LOVE to have this book! You can put my name "in the hat"! I am doing Prairie Primer with my youngest this year. This book would be great to go along with it! Would love to win this. Looks great! That book looks right up our alley as we try to learn more home skills around here! Thanks for the opportunity. Great contest! I would really love to win this book! #1 I am a public follower of yours on GFC (Carolsue).